There are many things which make for a portrait. As the detail above demonstrates, a portrait need not be the traditional head and shoulders composition but rather can be some element that captures an individual’s unique personality or characteristic “look”. The painting may be a part of the face, a pair of hands, or perhaps simply an eye or a smile. The young man pictured has a great sense of humor, is athletic and has a sharp business sense. He was mischievous as a child and still enjoys a good joke. He is outgoing, good at making people feel comfortable and children are drawn to him like a pied piper. Are some of those characteristics captured in his smile? They say one cannot judge a book by its cover, but it is also said that the eyes are the windows to the soul. 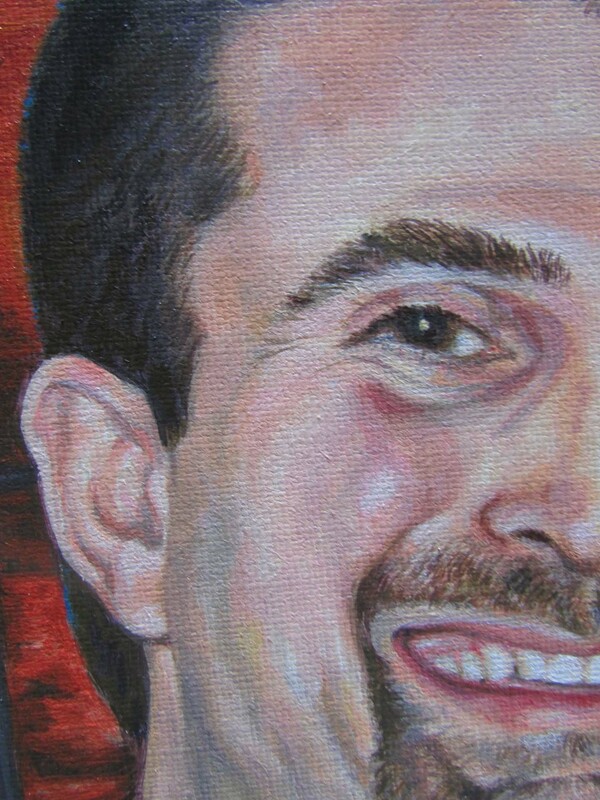 There are certainly things a person learns about their subject in painting their portrait that are more than skin deep. 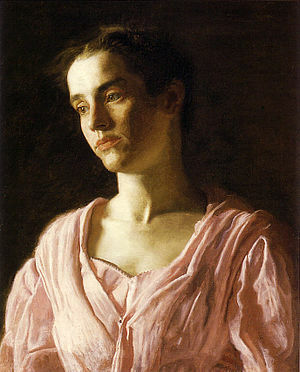 Famous American painter, Thomas Eakins, painted his portrait subjects with intense realism, and he seemed to have a knack for “seeing through” the people whose image he painted. There is a story about someone rather well known who had the opportunity to have Eakins paint his portrait. 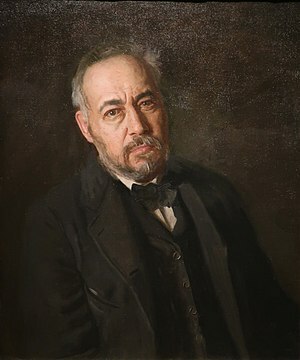 The man replied decisively that he would not like his portrait painted, fearing that Eakins might “see something within him” that he did not want brought out! Painting portraits are a unique challenge but an exciting venture because one has the opportunity to paint the likeness of another human being. When the artist believes that people are made in the image of God, then capturing some of that unique essence of the divine touch upon an individual is a deep experience, indeed. His portrait of Maud shows so much. She looks so intense and sad.